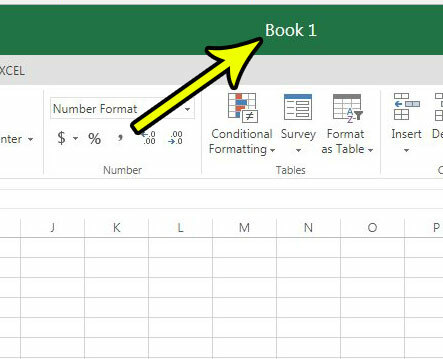 When you create a new spreadsheet in Microsoft Excel Online, the name of the spreadsheet is going to be something generic like “Book1,” If you are only working on a couple of files this may be fine, but it can become an organizational problem in the future when there are a lot of files that are difficult to identify. Fortunately you are able to rename a spreadsheet in Microsoft Excel Online to make it simpler to find what you are looking for. Our tutorial below will show you where you can make this file name change and improve your Excel Online productivity by saving your files with more descriptive names. The steps in this article were performed in the desktop version of Google Chrome, but also work in other desktop Web browsers like Microsoft Edge and Firefox. By completing the steps in this article you will be changing the name of the Excel file that you choose. Step 1: Navigate to Excel Online at https://office.live.com/start/Excel.aspx and sign into the Microsoft Account containing the Excel file that you would like to rename. Step 2: Open the document to rename, or create a new one. Step 3: Click the current document name at the top of the window. Step 4: Type the new name for the document, then press Enter on your keyboard to apply it. 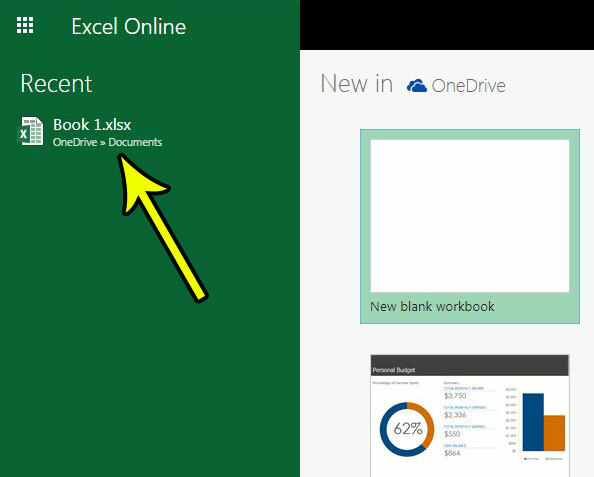 Now when you open Excel Online and browse the files in your OneDrive you will be able to see the document with the newer, more descriptive name. Note that you are able to change the document name at any time. Do you have a cell, or cells, in your spreadsheet that aren’t displaying your data properly? 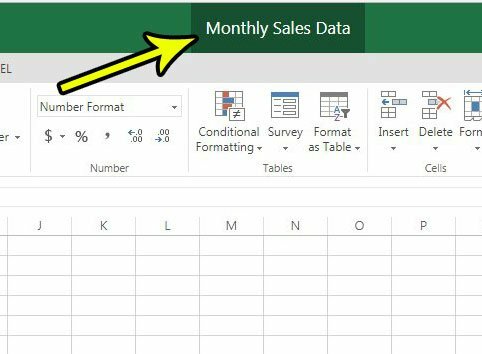 Find out how to change the format of a cell in Excel Online so that the data in those cells is displaying in the intended format.